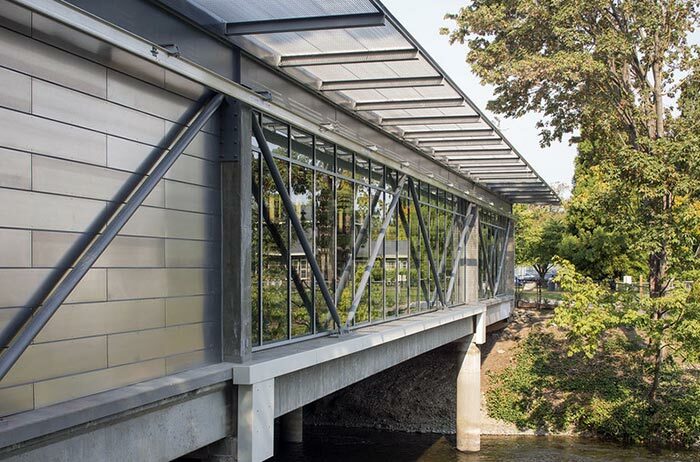 The goal for this renovation was to celebrate the bridge structure and highlight Renton’s manufacturing and engineering legacy that includes companies such as Boeing and PACCAR. The remodel kept the original structure, but added an expertly crafted and efficient exterior that provides floor to ceiling views of the river below. The new cross bracing and aluminum siding was chosen to compliment the city’s industrial history and heritage. Northwest Washington Architects online is a journal of great and interesting architecture projects happening in Island, San Juan, Skagit and Whatcom Counties.